GDPR may have come into effect back in 2018, but many organisations are still working out how to comply. And for those responsible for architecture, the EU directive poses unprecedented challenges with data processing, controlling, and securing. 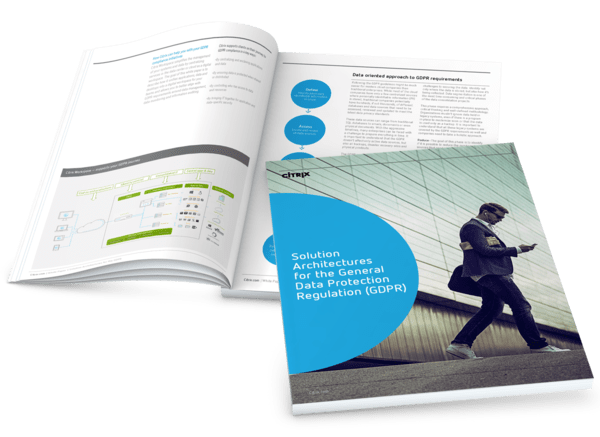 This white paper describe how you can prepare your organisation end-to-end. There’s strategic discussion with visuals showing ways to unify applications, data and desktops. Everything is geared towards helping you align with GDPR requirements around data management, data monitoring and information auditing. Explore the 5-step approach that defines how your business should respond, starting with identifying and assessing various locations where PII data is currently stored, and then moving higher up the stack. Find out how to overcome the challenges of trying to secure traditional client/server applications, whether Windows or Linux operating systems. Includes discussion of how to provide centralised access and authentication to users connecting to applications. View examples of Unified Endpoint Management that helps you support various delivery mechanisms including virtualised, web & SaaS, public app store, native enterprise mobile app and containerised mobile apps. See how to stay GDPR-compliant at every step of the process, from storing files inside repositories and providing context-based access to the files, through to monitoring for irregular activities and setting permissions.